So you probably don't realise 'cause nobody cares about this blog like I do, but I haven't posted on here for a while. I went on holiday in June and had a shedloads of posts ready and scheduled to go; but once I got back I just lost my mojo. I couldn't think of anything interesting to write, and just left it my the wayside. The thing is though I love this blog! I really do, it's the only thing I've truly stuck at and it's opened my eyes to a lot of things. My problem lies in the fact that make-up isn't a priority to me anymore. I don't keep up with new releases and know I don't need any more make-up. 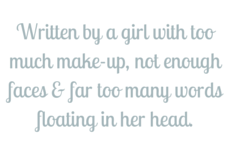 Which is fine, but when you write a beauty blog it's difficult; so things are gunna change. First thing I want to say is I've started a fitness(esque) blog. 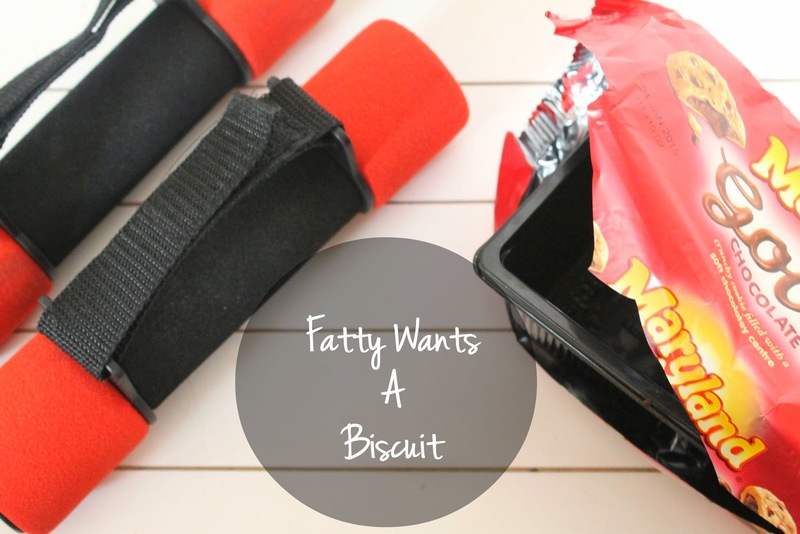 It's called Fatty Wants a Biscuit and you can follow it on Bloglovin' here. I considered making a section for it here, but decided I create a new one as I also want to work on my Wordpress skills and thought it may get a bit too OTT on here. Secondly, posts will be a little less regular and a few more random topics will be thrown in. Whilst I still love beauty, other things also interest me and I wish to share them with you. I think that's all I wanted to say. If you have any ideas of what you'd like to see (if someone is actually reading this) please let me know, I enjoy suggestions. Also, thank you for people that do read and talk to me. It really means a lot.